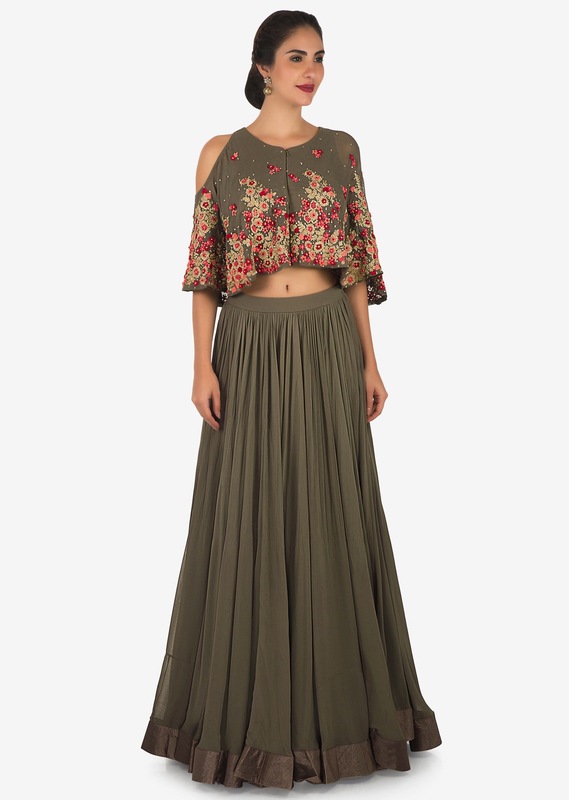 Grey lehenga featuring in georgette. 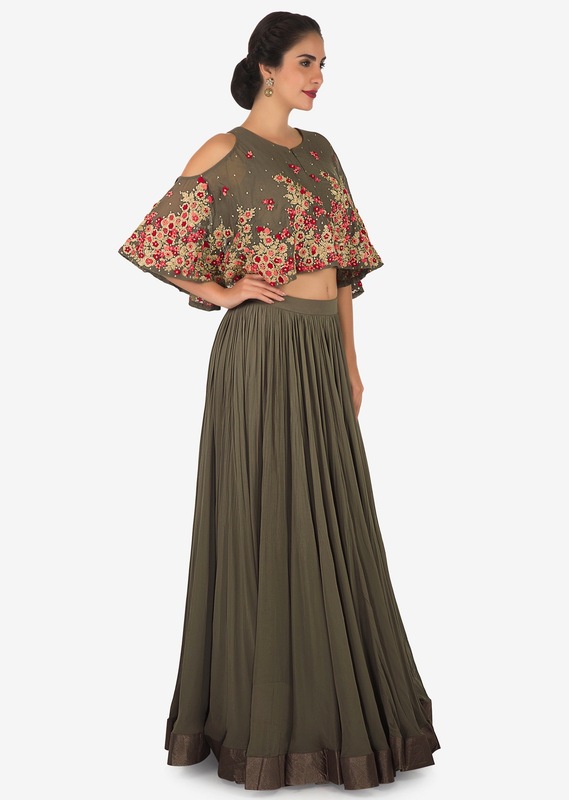 Matched with fancy blouse with cold shoulder at one side. 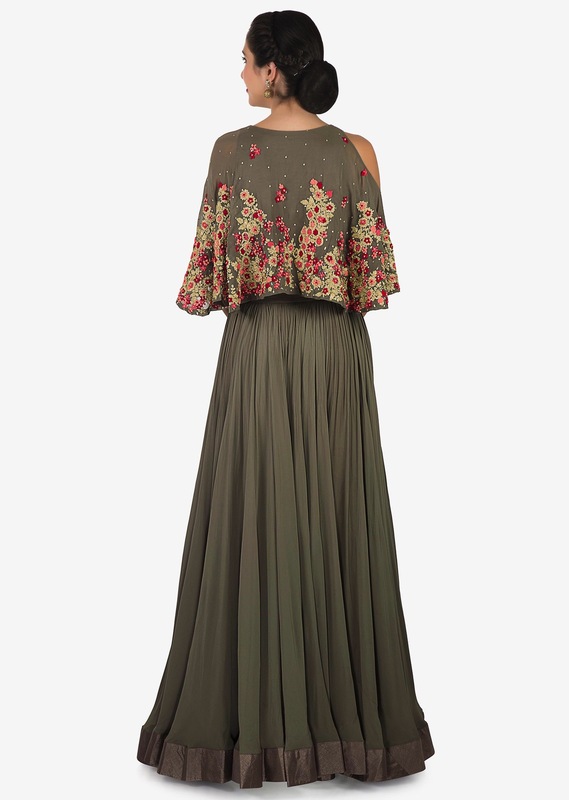 Its embellished in resham and zari embroidery in floral motif.